Party bus hire is the new craze a nightclub on wheels! 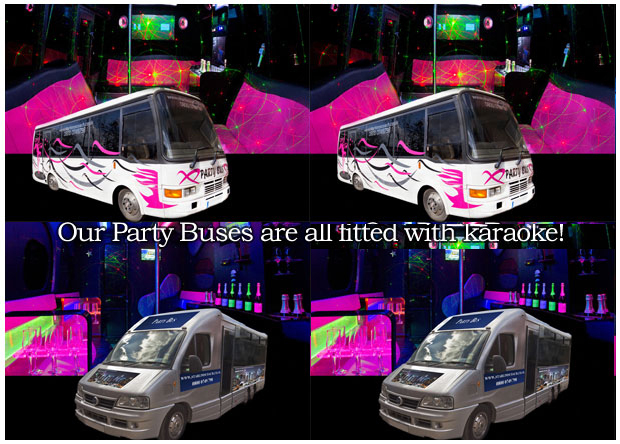 why not party to your party - the party bus has the interior lights and music system of a nightclub. Our services Offer Luxury 16 Seat Coaches To Hire. Available 24 hours a day 365 days a year with advance booking. Our fleet includes white stretch limousines, executive cars and wedding cars. If you would like to hire a limo in Rochdale please contact us and we will be pleased to quote for your occasion. 16 Seater karaoke party bus now available in Rochdale. We operate our own fleet of vehicles and don't use a broker, so we can pass on the best prices to our customers.